Amy Winehouse was allegedly given drugs by her husband when he visited her last week. Friends of the troubled singer are said to be furious with Blake Fielder-Civil - who dashed to Amy's bedside last week before returning to prison after failing a court-ordered drugs test - after he gave her the illegal substances in The London Clinic. 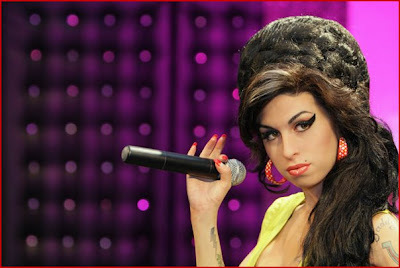 Amy had been clean for 10 days after being admitted to the medical facility following a reported drink-and-drugs binge. A source told Britain's The Sun newspaper: "Blake has a lot to answer for. His actions have ruined his wife's efforts to get clean."